Bring your friends and loved ones together in a healthy and unique way with Nine Lives Yoga hen parties. 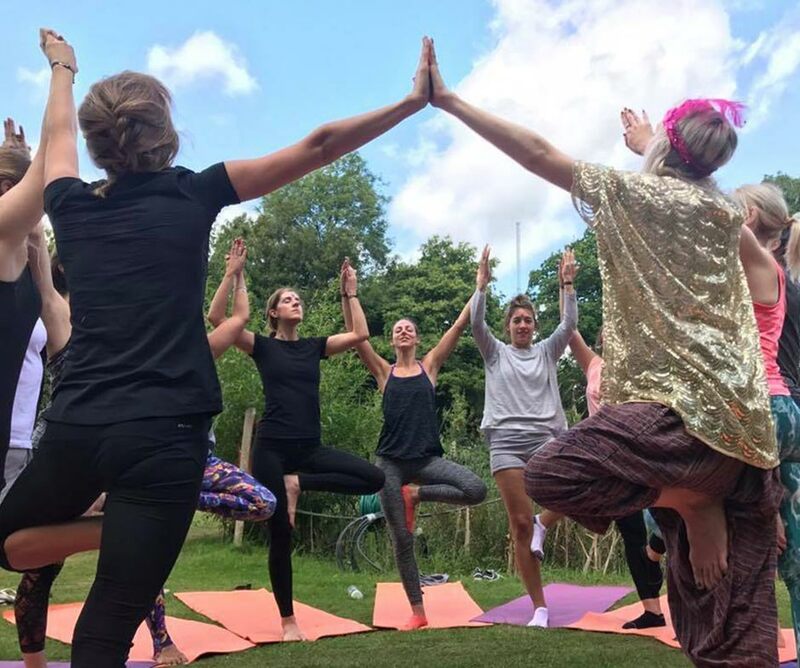 We make yoga social, fun and inspiring to create meaningful yoga parties that make your hen party connecting, relaxing and totally unforgettable. 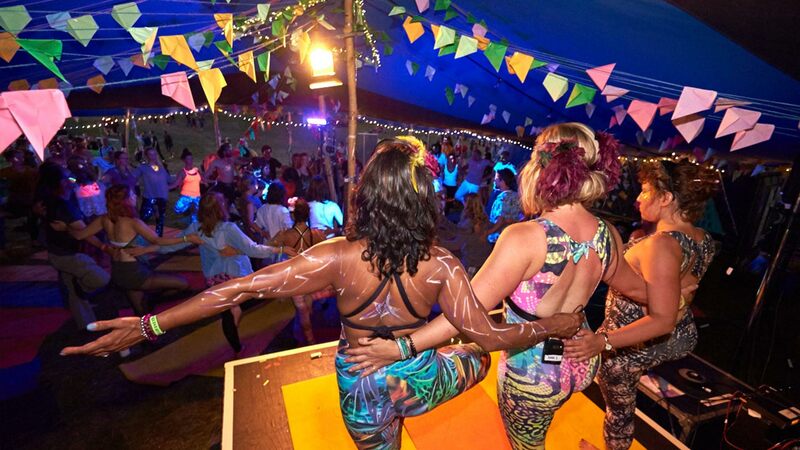 Our unique yoga hen party celebrations flow from grounded to upbeat and back again. We begin by setting intentions and meditating and into group yoga practice we call human-mandalas. We progress into yoga practice and can include any number of styles from vinyasa to Acroyoga including ice-breaker games and even ecstatic dance to music that means something to your hen. Once we’ve touched the sky we cool down into zen vibes with partner yoga and a thai massage circle and lastly deep into a relaxing savasana to close the yoga hen party in true yoga style. Get to know one on another level that bonds the group, gets everyone feeling relaxed and at ease while doing something new. You’ll leave having learnt something new about giving and receiving and you’ll have laughed/ cried and been covered in glitter! It’s all your choice to select the elements that you love the most when you book. 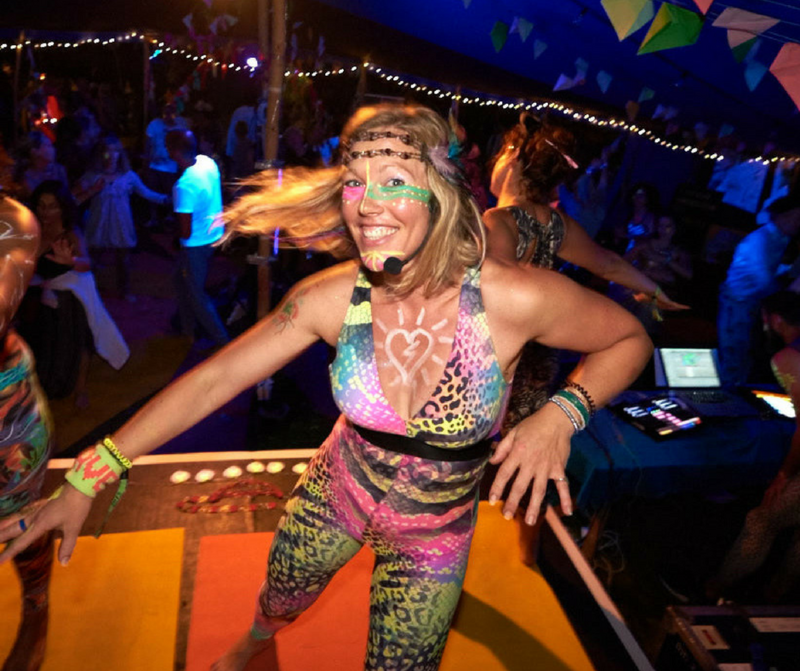 Your party will be tailored to you by our yoga teachers who are specially trained in collaborative ‘Social Yoga’ techniques that bring the bonding element to life. So whatever your experience, you’ll leave feeling energised, blissed out and super-connected. Choose from our 3 main packages and add options to make your party bespoke! It was so great to do something that wasn’t a run of the mill hen activity. Cat was organised and super professional while at the same time being fun and making the bride feel really special. Unite your loved ones together and celebrate in zen party style with grounded intention and lightness and laughter in abundance. Our collaborative approach to yoga practice means everyone feels included, celebrated and filled with conscious vibrations…whether you are a devoted yogi or a newby we’ll make you feel amazing. Explore yoga and wellbeing in a gorgeous way with humandala yoga flows, fun features like conscious dance or even a full-on Yoga Rave experience, or learn to fly with Acroyoga, give and receive massage with our thai massage circle and book extra features like live music to sing to or a gong bath to sink into a deep meditative sound healing experience. Nine Lives Yoga are the first independent yoga business in the UK who specialise in collaborative yoga experiences that bond groups together with depth, heart and imagination. We started in Brighton and have spread to London and now Bristol, Oxford and Kent! Our small team of yoga teachers thrive on making your experience beautiful, sassy and totally unforgettable offering an authentic yoga experience with a creative modern style. We had a fab time celebrating a dear friend’s upcoming wedding amongst some beautiful ladies. My second yoga experience and I’ve never had so much fun! Cat is an amazing host and the activities makes us feel so loved and harmonious. This is where music and yoga unite. You’ll celebrate life, love and connection with a generous selection of funky bootlegs, tech house or banging drum and bass. Set your spirit free! We start with crazy outfits, UV body paint and glorious intention-setting, then you’ll get into the headspace for the party of your life. Prepare to get your glow on, let go of fear, doubt and inhibitions…and shake that asana! You will be lead into a luscious warm down and into a deep meditation to close. This session is completely bespoke, so if you’ve got your heart set on a particular selection of tunes, a live DJ, dancers and performers, drop us the deets and we’ll work our party magic! Yoga Rave – YES that’s my vibe! I booked one of Cats hen do yoga classes which was absolutely fantastic!! Cat made the bride to be feel very special with a beautiful handmade headband to wear. It was the highlight of our weekend and so nice to do something different. I would highly recommend. The ultimate hen party experience! A Zen Party mini-break in the Midi-Pyrenees! Reset your mindset to ‘fun and freedom’ with partner yoga workshops, Acroyoga, thai massage, hiking in the beautiful mountains of the Pyrenees or simply taking in the view from the Spa. Power up your prana at sunset with the most inspiring Nine Lives Yoga Party ever and relax over a BBQ in the warmth of the French evening. The retreat presents stacks of opportunities to share and connect with your loved ones, but also plenty of solo time and relaxation. What better preparation is there for a wedding? 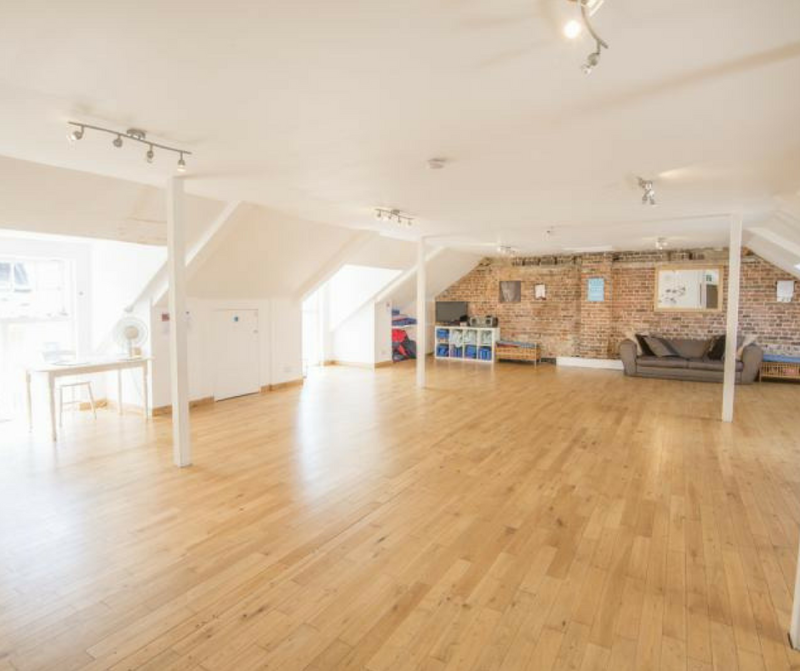 No idea where to start when it comes to finding a suitable yoga venue for you and the ladies? Let us handle it. We’ll present you with a killer option from our database that will hit the spot. 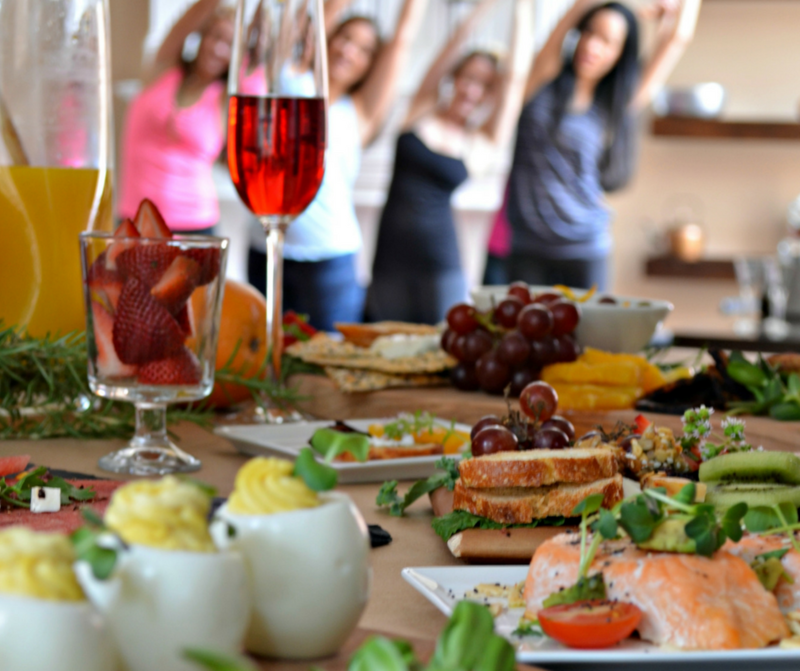 Would you like beautiful post-glow brunch organised for you and the ladies to truly indulge and toast the bride-to-be? Whatever your taste we can offer something to suit your palettes using locally sourced chefs, or local venue. 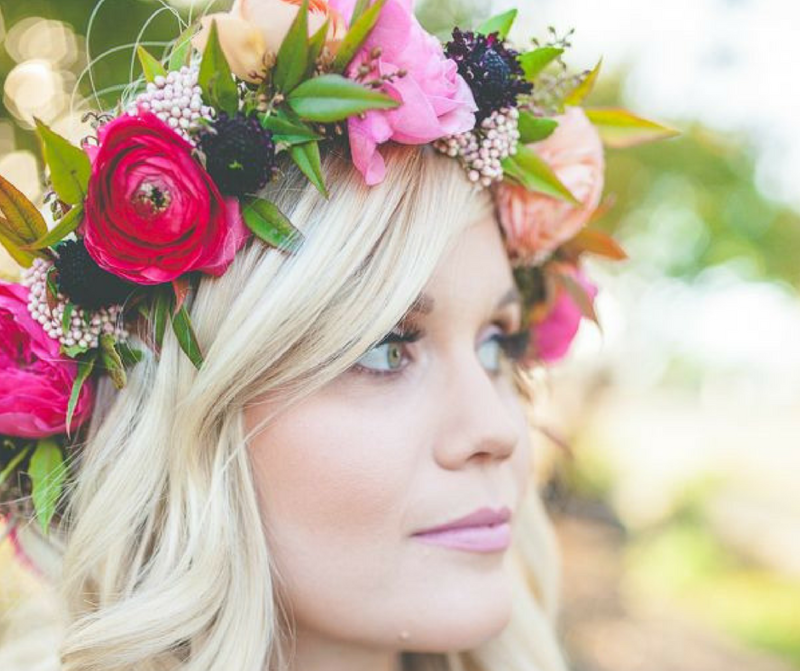 Create and design your own fascinator or flower garland for your hen weekend or personalised bunting to show off to break the ice at the wedding! We provide the glitz and glam and fixtures and fittings, all you need to do is choose, show up and get creative! Ready to celebrate in style?